Studies suggest that LED lights can offer some interesting health advantages, as well as being better for your pockets and the environment. These more energy efficient bulbs tend to beat the competition when looking at the harmful effects lights may have on your health, i.e. flicker, hum, heat, burnout and toxic materials. Lights that flicker, including AC powered incandescent and fluorescent bulbs, can cause problems even if the flickering is not detected by the human eye. According to the Occupational Health and Safety Administration, common side effects associated with flickering bulbs include “headaches, eye strain and general eye discomfort.” Another study discovered that, when exposing workers to lights that did not flicker, there was “more than a 50% drop in complaints of eye strain and headaches.” LEDs usually produce very little to no flickering at all, therefore making them safer to use than traditional bulbs. You might ask how and why lights that hum could possibly have a negative impact on your health; however, researcher John Ott found that the droning sound associated typically with fluorescent lights was subjecting people to “irritability, hyperactivity, fatigue and attention deficits”. Since LEDs produce no annoying sound, this again makes them a healthier choice. While fluorescent, halogen and incandescent lamps can reach scorching temperatures of around 90°C, LEDs generally emit low levels of heat and stay around room temperature, even when left on for a long time. Aside from the risk of burning yourself on a hot bulb, high levels of heat can also breed unsanitary conditions in kitchens and places where raw meat is stored. Another added benefit is the slower burnout rate of LEDs that allows for longer colour consistency, meaning reduced strain on your eyes. Most domestic LEDs are designed to last a for a whopping 30,000 hours, which can be as long as 15 years (depending on how many hours a day you have them on, of course). Incandescent bulbs, however, tend to burn out within a year, adding the physical stress of having to regularly replace them! Unlike fluorescent lamps, LEDs do not produce UV radiation and are therefore safer to have in close-proximity environments such as desktops. The scary science says that UV radiation can cause eyestrain, headaches, premature ageing and even skin cancer, so knowing that your lights are LED may give you peace of mind. Very importantly, LED fixtures contain no mercury, so you can dispose of them safely and easily. The same cannot be said for discharge and fluorescent lamps, which often still contain the toxic substance and are therefore much harder to dispose of carefully. So, LED lights are clearly the more efficient, safer and healthier option all around. Furthermore, research has even been made into exploring its use in dementia and Alzheimer’s treatment, as some scientists believe it could help sufferers. 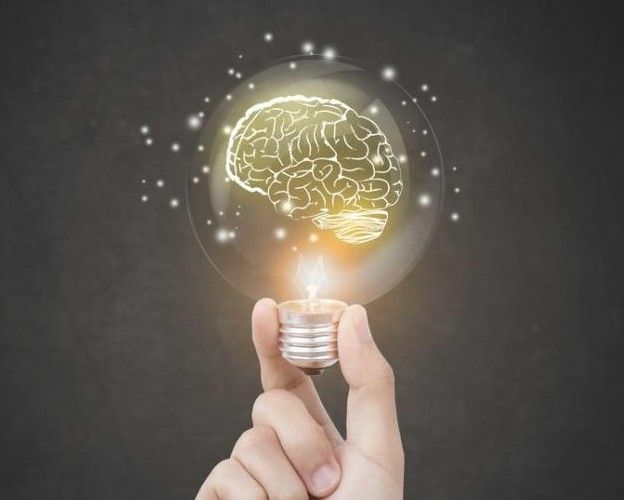 Professor Elisabeth Flo at the University of Bergen, for example, believes that bright light therapy using LED luminaires is one of the “most promising” forms of non-pharmacological treatment for dementia patients.